There's been a concept turning over in my mind that I've been trying to pin down for awhile now, and Colin Kaepernick has helped me finally solidify it. Colin Kaepernick- are you caught up? 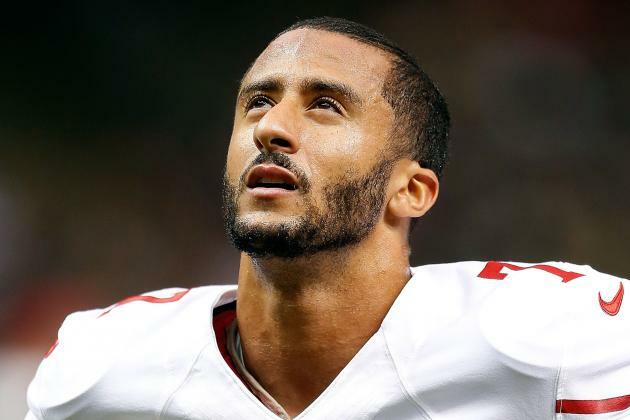 Kaepernick refused to stand for the national anthem stating that, "I am not going to stand up to show pride in a flag for a country that oppresses black people and people of color. To me, this is bigger than football and it would be selfish on my part to look the other way. There are bodies in the street and people getting paid leave and getting away with murder." He plans to continue to sit for the anthem. As expected, there are those who have voiced their support, and those who have let their criticism and outrage made known. It's been in listening to and reading the disparaging remarks that the notion that had been a bit abstract to me, has become clear. I hear: He makes too many millions to be oppressed. He was adopted, he doesn't have it that bad. He's biracial, so he's not black enough to know what he's talking about. He plays football and gets a paycheck from the country whose flag he says oppress him. It must not bother him that much. Disgracing the flag is no way to get your point across. There are other NFL players who are serving our country. Veterans are not happy with him. Other black people don't agree with him. Let's see how much he cares about equality when he's not getting paid. What I don't hear much of is: He's not the first person to speak out about this. What can we do to address, and resolve, this issue? A typical reaction of someone presented with information that is new or uncomfortable to them is one of defensiveness. I know this, but I'm coming to realize that the defensive position is rich with denial. Whether they truly believe there isn't a problem, or they worry what will happen should they step out of their comfort zone and listen, those assuming the defensive task themselves instead with discrediting the messenger. He makes too much money to be able to relate to me. His upbringing looks different than mine. He lacks the level of patriotism others have. His life experience is not the same as others. They should find a way to ask that's less demanding. I have to wonder, what would it take for someone to listen to the message? Who would they need to hear it from? Someone who falls under the same tax bracket? Someone who has the same color of skin? Same political or religious affiliation? I don't think so, and this is what I have finally been able to realize. See, shooting the messenger is just a defense mechanism. It's a way to not hear what it is that's being said, as though not acknowledging it somehow negates the issue. It doesn't matter if the messenger was upside-down, dressed in head to toe sequins, serving cake- they still wouldn't hear it. They would not hear it here. They're not going to hear it anywhere, and it's a damn shame Dr. Seuss was so racist, because he was onto something with that one. The thing about shooting the messenger is that you're just getting rid of the messenger. The message still stands. There are others who will deliver it. You can shoot them down, too. You can pick them apart. Look for reasons why you can't relate to them. Attack their methods. Create some monolith in an effort to lessen their credibility, as if they need anything more to stand on than their own life experience and convictions. You can create a diversion. Change the subject. Talk about anything and everything but what it is they're asking to talk about. You could talk about it. You could do one better and listen. Take your hands off your ears and let yourself really hear what is being said. Try this phrase: "This is uncomfortable for me to hear, but I'm listening." Or: "I haven't considered that before. I'm going to sit with this for awhile." If that's too hard, there's always an honest: "I don't care about this, so I'm going to be quiet instead of throwing arguments around that carry no weight." Not too rich to understand oppression. Not too famous to be affected. Not too different to have valid moral convictions. Not less American for wanting better from our government. 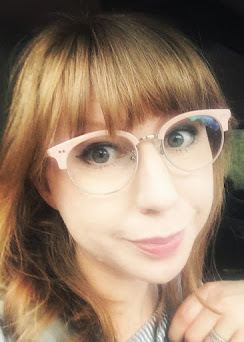 Just a person who believes in something so strongly they are using whatever platform they have- be it a football stadium in front of millions, or a status update that might barely reach 300 people- because they have hope for a better future and want to do their part to make a difference. See them and then realize they don't want to be seen as much as they want their message to be heard. Colin Kaepernick is willing to risk millions of dollars, and possibly his career, in the pursuit of what is right. He joins the ranks of others who have done the same, standing in solidarity with those who have risked and lost their lives striving for the same goal. The least anyone can do is listen. No accusations of being un-American, or unpatriotic, as though that is the pinnacle that anyone would ever aspire to be. One of my favorite passages from a recent piece by Kareem Abdul-Jabbar reads, "One of the ironies of the way some people express their patriotism is to brag about our freedoms, especially freedom of speech, but then brand as unpatriotic those who exercise this freedom to express dissatisfaction with the government’s record in upholding the Constitution." He continues, "What should horrify Americans is not Kaepernick’s choice to remain seated during the national anthem, but that nearly 50 years after Ali was banned from boxing for his stance and Tommie Smith and John Carlos’s raised fists caused public ostracization and numerous death threats, we still need to call attention to the same racial inequities. Failure to fix this problem is what’s really un-American here." I would ask anyone who struggles to listen to those who are petitioning for their voice to be heard to consider why it is you are so opposed to hearing what is being spoken that you will go to such great lengths to avoid addressing it. We will never come close to fixing anything if we continue to insist on why it is we can't listen to what we're being asked to fixed. John Legend on the national anthem. #VeteransForKaepernick might restore your faith a little.